Winning the Mercedes-Benz Award at Pebble Beach in 1997 was one of the highlights of my 40 years in the restoration business. 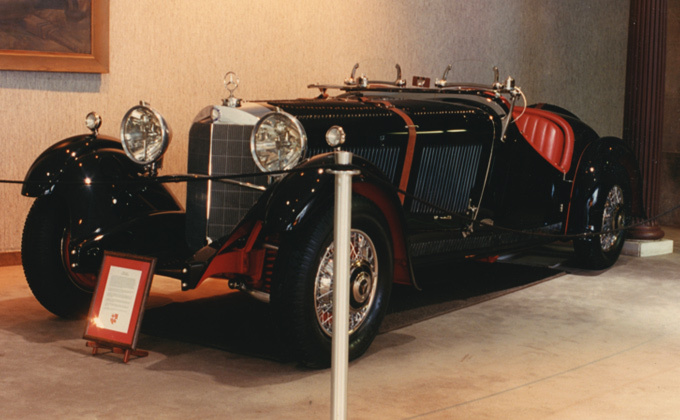 Restoring a coach-built car like this 1933 380K Mercedes Sport Roadster requires painstaking research as each of these vehicles is as unique as the individuals who commissioned them. You would be hard-pressed to find a more interesting original owner than the passionate driver that commissioned this one-of-a-kind Mercedes. The original owner of the 380K was Prinz Max zu Schaumburg-Lippe, a descendant of Russia’s 18th Century Czarina Catherine the Great. Prinz Max fancied himself a racing driver, and took this car to a class victory in a 2000 kilometer race in Germany prior to World War II. Quite a lot of history passed between Prinz Max’s racing days and the onset of our restoration. Before we could begin work, we had to seek out as much about the history of the vehicle as possible. While Prinz Max was no longer alive, his widow kept the spark of his love for this amazing car alive. I flew to Germany in 1994 to speak with her about the car and peruse her treasure trove of old photographs of the 380K. I also visited the Mercedes museum in Stuttgart to study the craftsmanship of other Mercedes of the era to ensure that all of our work would create as exacting a restoration as possible. All of our research paid off, and few moments in my life were as thrilling as the win at Pebble Beach. See more restoration photos in our Mercedes Gallery.